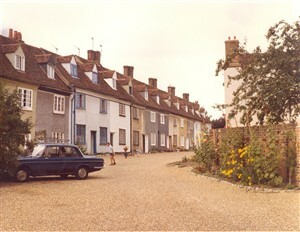 My earliest recollections of Place House go back to the late 1940s or early 1950s. The house was all one at that time as was the garden, which was somewhat longer than the photograph shows. We were living behind the hairdressers shop in New Road, and there was a footpath running up the side of our garden, through Place house garden and into Bluecoat Yard. At that time, the house was occupied by the Hartman family who later emigrated to Rhodesia (now Zimbabwe). The Yard was un-surfaced and at the top was a nursery run by Phil Chapman whose sister kept a fruit and vegetable shop in East Street. Phil eventually sold the land, which is now the site of Ashwood Old Peoples Home. This page was added on 23/02/2011. Having used Place House on a weekly basis for the running of a U3A bridge group over a number of years, I have grown to appreciate the wonderful atmosphere of the ‘place’. Interestingly, a few years ago during one of Ware’s ‘Dickens’ evenings I took shelter from the extreme cold in Place House to enjoy a mulled wine. A man started talking to me and explained that, during the 60’s, he had lived for a time in Place House with his parents. He pointed to where a mezzanine floor had since been removed and mentioned that his mother’s kitchen had been upstairs where might loosely be called the ‘minstrels’ gallery’. Interesting to read about that footpath down the side. Its use was, I was told by a neighbour, preserved in the lease to residents of Place House but the path was subsequently absorbed by the houses on New Road (but the access door is still to be seen in Bluecoat Yard). 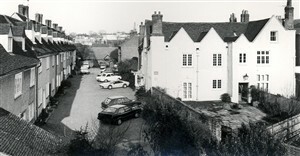 Place House itself was shamefully neglected for many years after its restoration in 1978 and eventually the residents in the building compelled the current owners to repair it at considerable cost in approx 2006. So interesting to read the article of Place House and BluecoatYard, Ware. We had the pleasure of visiting Ware in 1994 and our host, Miss Anne Chapman, took us to see Bluecoat Yard. Our grandfahter, Frederick Frost, 1st wife was Martha Anne Chapman whose brother James and his wife Sarah owned Chapman Nurseries at this site. Would Phil Chapman and his sister be of that family? We know we will enjoy Our Hertford and Ware Regards, Anne Frost-Stevens Parry Sound, Ontario, Canada. Memories of Ware, a local history walk on a sunny September afternoon.